MOSCOW, December 30. /TASS/. Russian President Vladimir Putin’s annual New Year message will be transmitted in the Moscow metro on the night of December 31, along with a message by Moscow Mayor Sergei Sobyanin, the Moscow Metro press service informed on Sunday. “For the first time ever, passengers of the Moscow metro will be able to see an official message of Russian President Vladimir Putin and Moscow Mayor Sergei Sobyanin on New Year’s Eve, on the screens installed in subway cars, on air of the Moscow-24 TV channel,” the message informs. The video messages can be seen on almost 9000 screens in 1,820 train cars. At midnight of December 31, passengers will also be able to hear Putin’s New Year message on the metro’s escalators. The Moscow Metro also plans to transmit Putin’s message for the users of the metro’s Wi-Fi network. 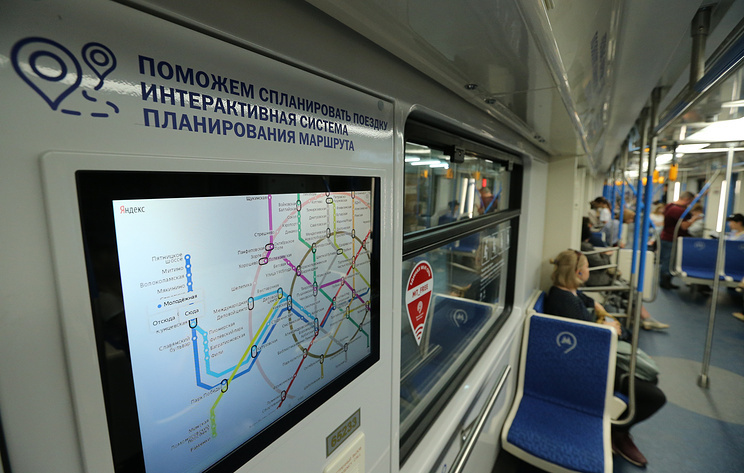 Passengers will be able to see the message on the official page of the Moscow metro’s Wi-Fi, the press service added. The Moscow Metro and the Moscow Central Circle will be open during the whole night of December 31. Hey Buddy!, I found this information for you: "Moscow metro to broadcast Putin’s New Year message". Here is the website link: https://russophile.org/moscow-metro-to-broadcast-putins-new-year-message/. Thank you.